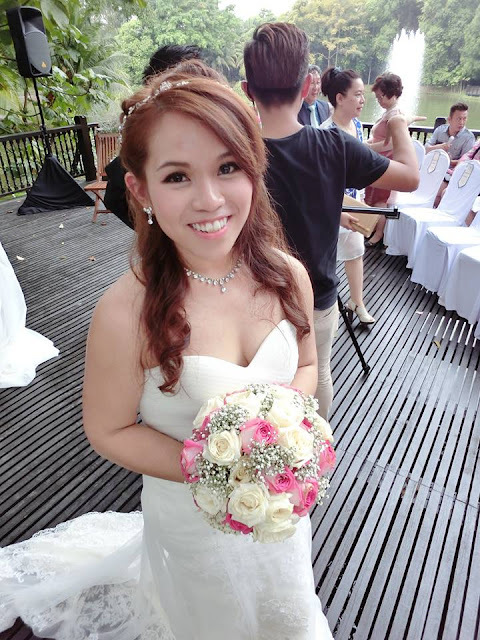 For the outdoor or garden wedding, do inform the makeup artist so that the right kind of product and finishing can be applied. It is important to protect your skin from the harmful UV rays of the sun, sunscreen or foundation with SPF protection is a must. Go with the waterproof version to prevent meltdown, smearing, creasing, cracking and all problems related to oily thick foundation, concealer or shadows. Soft brown and bronze on lids add definition to the eyes. 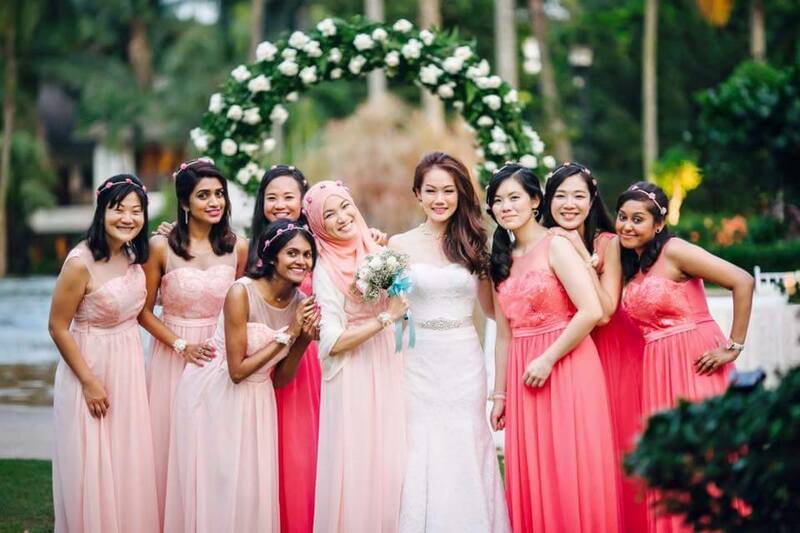 With some hint of peach, the bride will look absolutely radiant outdoor! 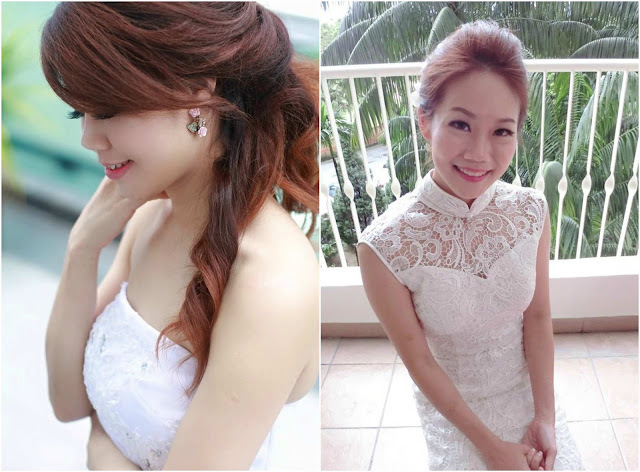 For strapless dresses, you can have the half-down hair style. 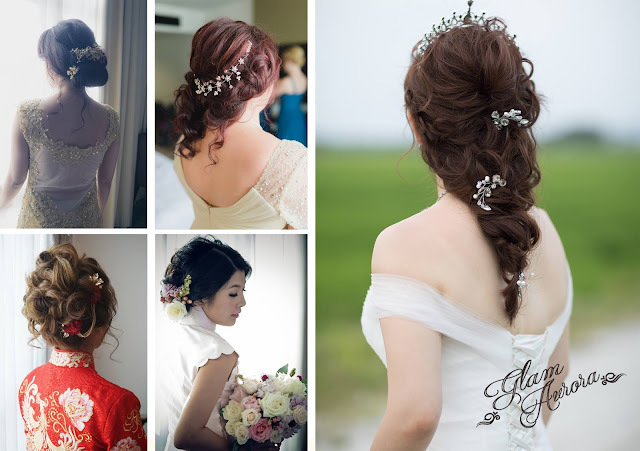 It is always nice to have floral hair (hair clips or fresh flowers) decorations to match the outdoor garden or nature theme. Fresh flowers like the baby's breath suits a rustic outdoor wedding perfectly. 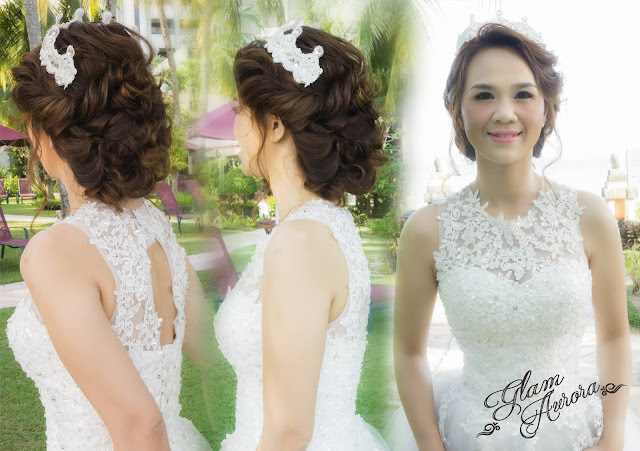 If you have a high-neckline wedding gown, wear your hair all up to avoid sweating around the back of your head and neck areas. 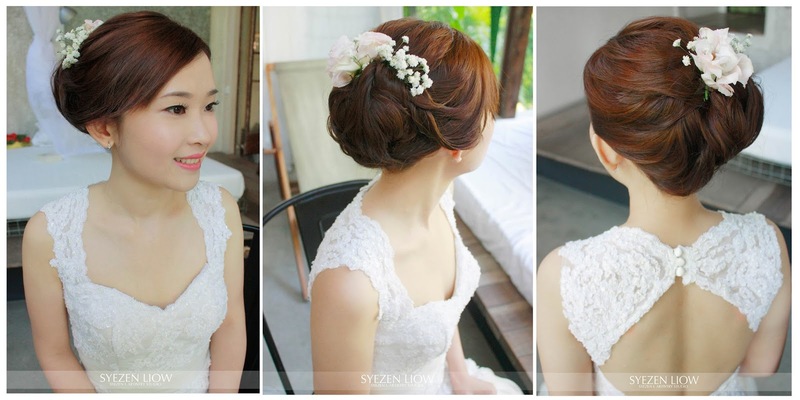 For strapless dresses, you can have the half-down hair style. Up style for a dress with high neckline. Sweat-proof makeup product to avoid meltdown. At Park Royal Hotel Penang. Tiny braids add more dimension and make you look younger, to match the low V neckline sheer shoulder with crystal dress. 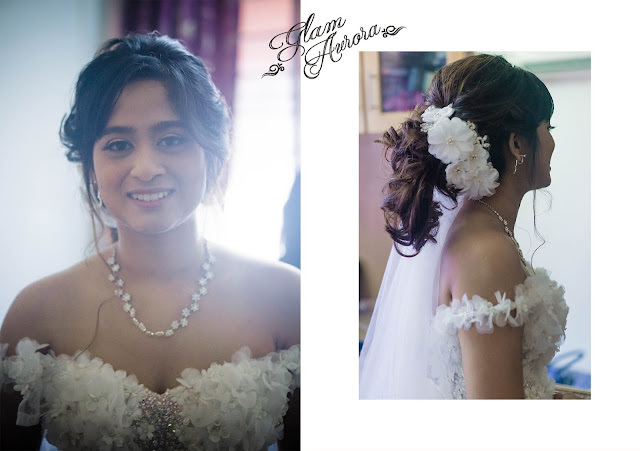 The beautiful slightly messy pony tail - unique white flower hair accessories and wedding gown. 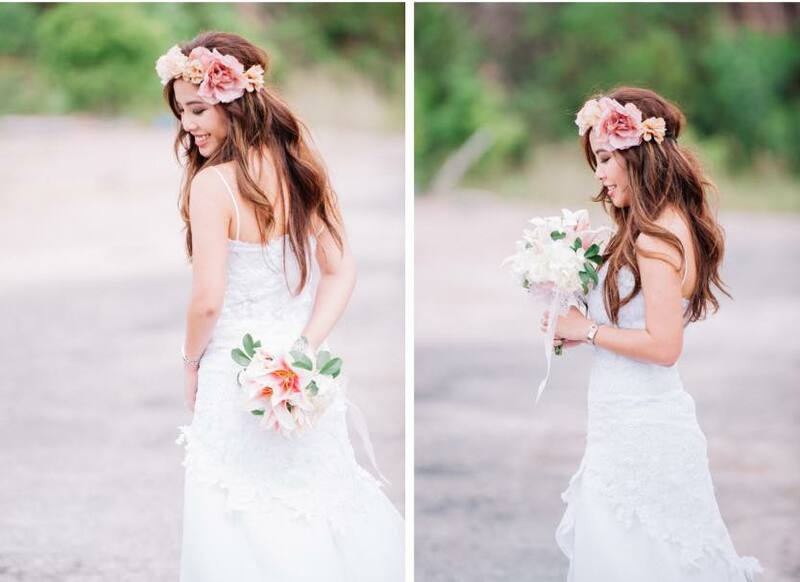 With some hint of peach, the bride will look absolutely radiant outdoor! The bride will look elegant donning a spaghetti strap wedding dress with lace. She lets her hair down in rustic waves and big flower garland. 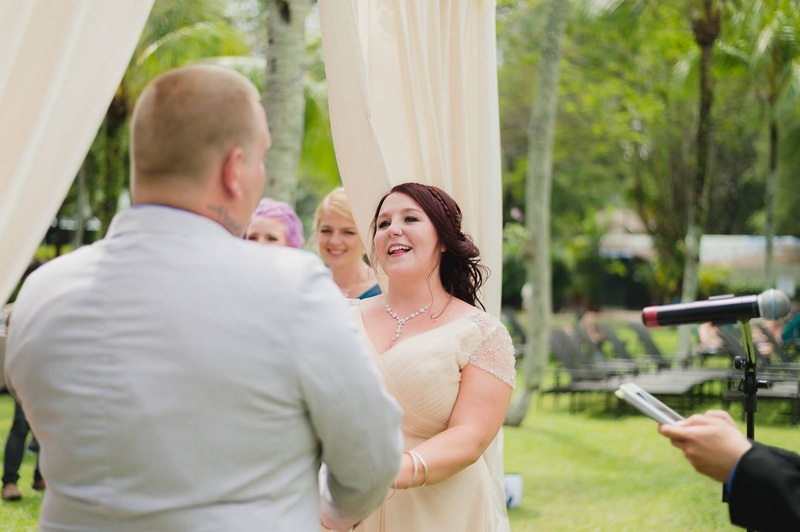 Outdoor wedding styling by: Amelin Makeup Studio. 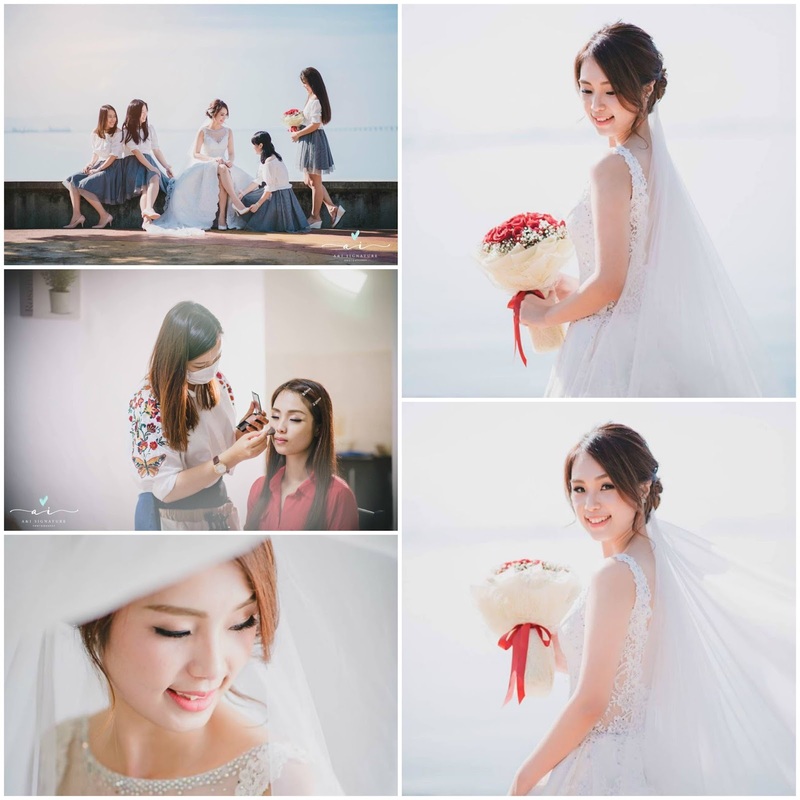 Here's the master of natural bridal makeup and hair styling: Raynis Chow Bridal Make Up. Love the illusion sleeves and back. 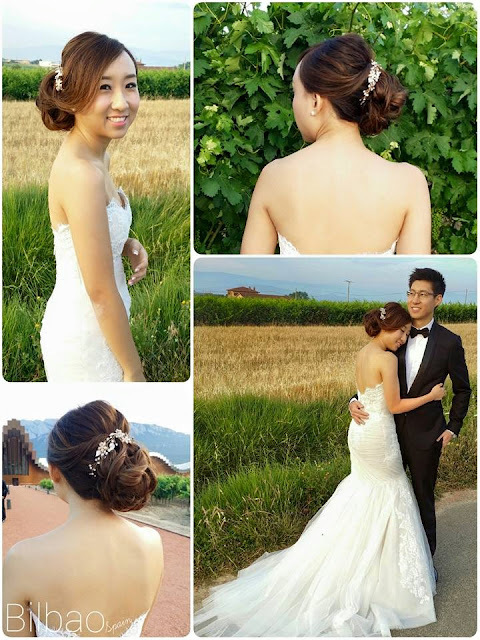 S&Co Artistry Studio creates very classy celebrity bridal styles. Fresh and elegant. 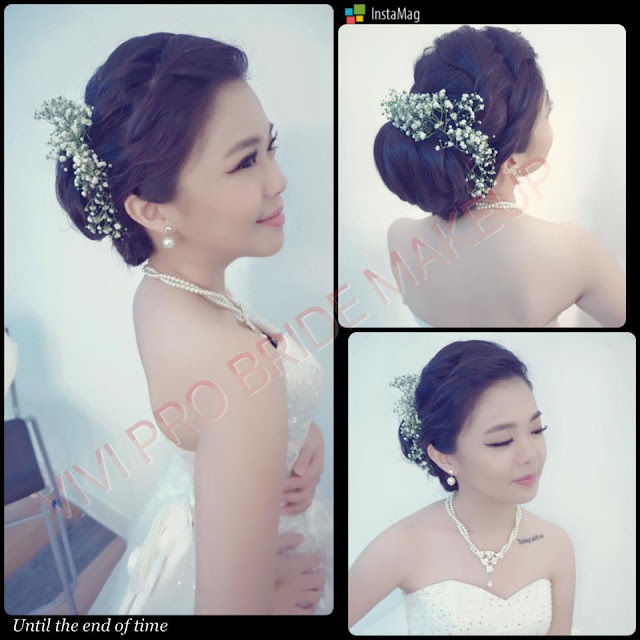 Bride's features accentuated in a very natural way. The trendy side curly bun for the outdoor photography.